I’ve seen it over and over again. You launch your new website — not just any new website… an absolutely GORGEOUS website! But… crickets. What’s going on? 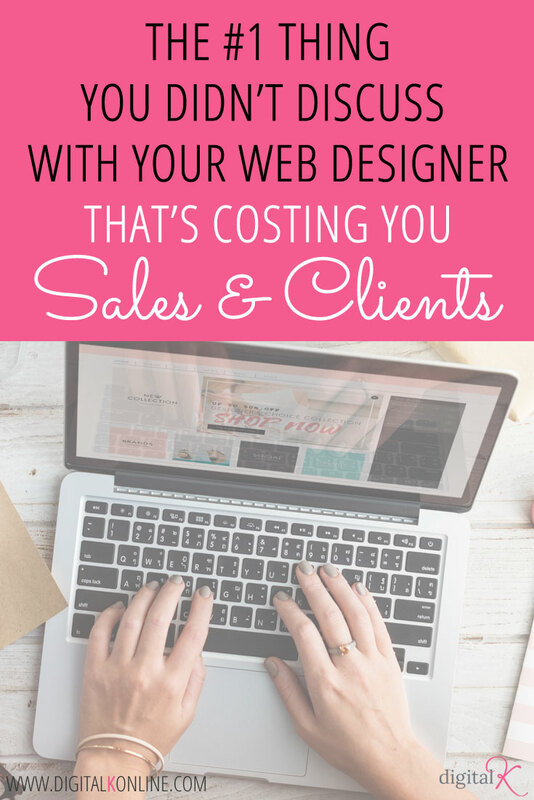 Why isn’t your beautiful new website bringing in new clients? Why aren’t you getting more people signing up for your email list? Why isn’t your new website saving you time or money or headaches? Isn’t that what’s supposed to happen? Don’t worry if you don’t. 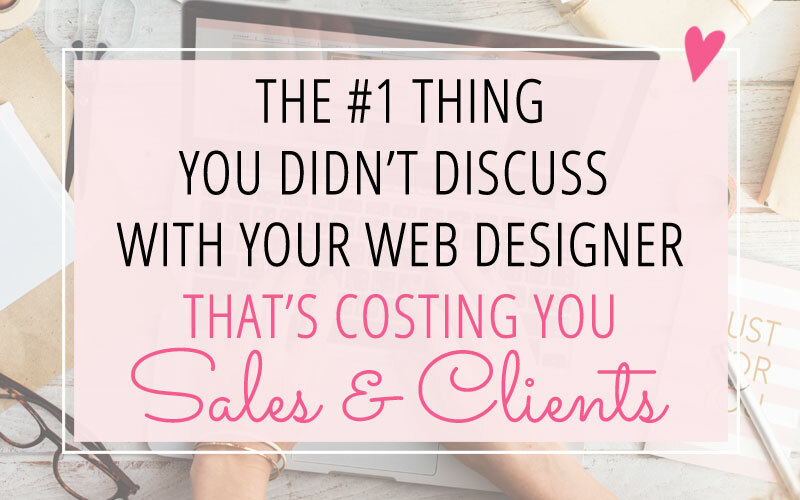 I know many business owners – and unfortunately many web designers – that think this conversation is A-OK. If this is how you go about getting your new website, you will not be happy with the results you get from your website (or more likely, the results you aren’t getting!). You’re talking about 2 different things before – and after – the new website is created! When you’re first talking about getting a new website, you’re talking about how it should look. But when you’re talking about what happens after the website launches, you’re talking about why you aren’t getting new clients and new emails subscribers. See the difference? 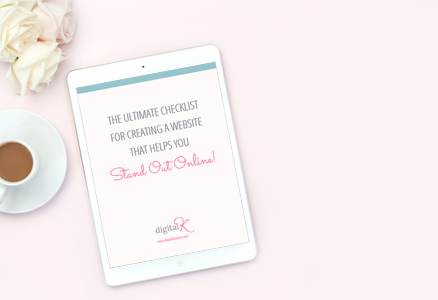 When you’re in the initial planning stages, if all you’re focusing on is how it looks… the main result you’re going to get after your website launches is… a website that looks good. Is that what you really want? Dig deep here! Do you just want to show off how pretty your website is? NO!! You want your website to work for you – whether that means it brings in more clients… or more email subscribers… or makes your onboarding process easier… or saves you time… or any/all of the above! You need to first focus on the actual RESULTS you’re looking to get. What are your GOALS with having this new website? What do you want new website visitors to do when they first get to your website? How are you going to encourage people to get on your newsletter list? How do you want people to sign up to work with you? What struggles and frustrations are you having with your current website (or with not having a website setup yet)? 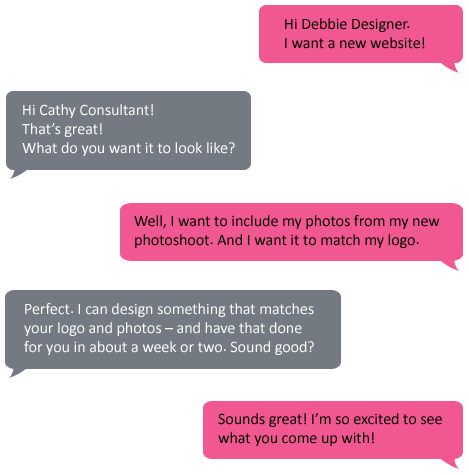 These are just some of the questions I ask my clients when we first plan out their new website. This planning and strategy work is done before any design work is done. And that’s the way it should be – because it’s the most important piece of the project: Getting you RESULTS from your website. before you create a website design.